Well, that was quick. As soon as Apple dropped its new line-up of MacBook Pros featuring Intel&apos;s new high-speed data I/O technology, Thunderbolt (a.k.a. 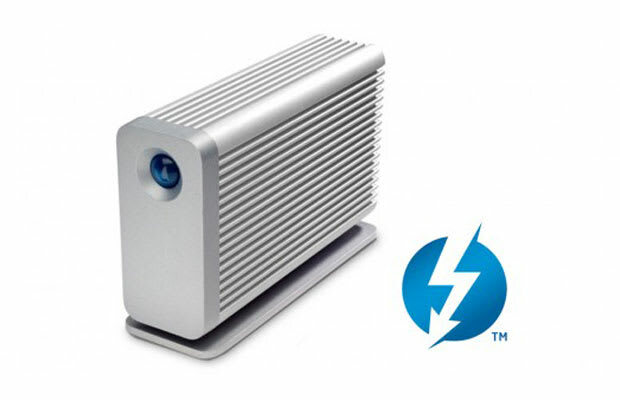 Light Peak), hard drive specialist LaCie announced its first Thunderbolt-capable external hard drive. Sporting two 250GB solid state drives, the Little Big Disk is capable of transferring data at Thunderbolt&apos;s 10Gbps speed. It can perform full-system backups in minutes and simultaneously upload and download HD video content without any compromises in speed. You won&apos;t be able to cop one until this summer and while there&apos;s no official pricing, expect to drop some serious paper.